Showing results by author "Brenda Stevenson"
Helicopters thwopped low over the city, filming blocks of burning cars and buildings, mobs breaking into storefronts, and the vicious beating of truck driver Reginald Denny. For a week in April 1992, Los Angeles transformed into a cityscape of rage, purportedly due to the exoneration of four policemen who had beaten Rodney King. It should be no surprise that such intense anger erupted from something deeper than a single incident. 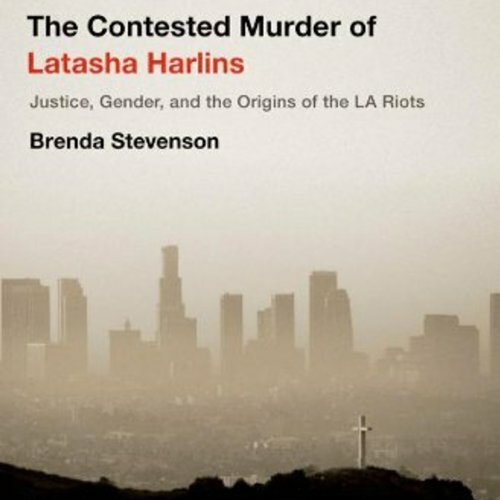 In The Contested Murder of Latasha Harlins, Brenda Stevenson tells the dramatic story of an earlier trial, a turning point on the road to the 1992 riot.